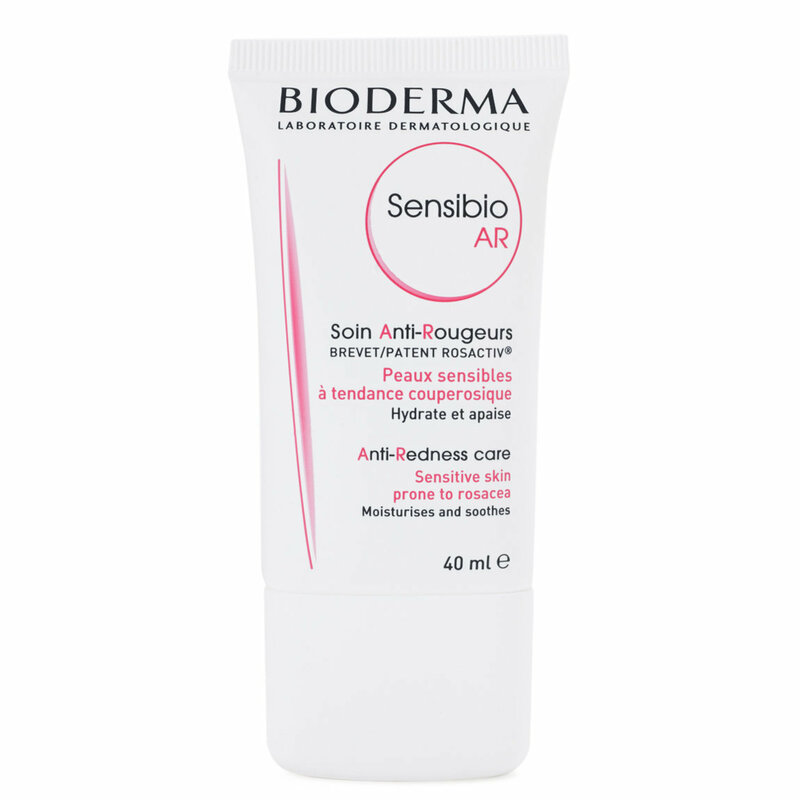 Bioderma's Sensibio AR is an ultra-soothing daily treatment that biologically reduces and prevents redness. Excellent as a make-up base. Prevents and reduces the intensity of redness. Morning and/or evening – 7 days a week. Apply Sensibio AR Cream onto clean skin. Have a question about Bioderma Sensibio AR Cream? I have rosacea and have used many skin care products in the past ; some of them worked and some did not. None of them worked as fast and as good as Bioderma. I had a bad flare up after I relocated to south Texas where it is extremely hot and humid. I thought my skin would get used to the new climate but it did not. After 6 months I gave up and decided to switch to Bioderma. My skin was back to base line in less than 2 weeks. I will totally recommend this product. Beautylish please keep selling this fantastic product. Bioderma also had an anti rouge BB cream which is just awesome; please add the BB cream and their fantastic sunscreens ( Photoderm) to your selling list. I promise you they will sell very well! I typically have oily skin that requires very little in the way of added moisture. A light serum on my cheeks and neck is the norm, if I use anything anywhere other than under my eyes. But the last few years, once the cold, dry air moves in and the heat is constantly running, my cheeks start to react. I end up with very pink "doll cheeks" that look like I'm wind burned. Until this year, any samples I had around the house did the trick - didn't matter what brand as long as it didn't cause me to break out. But this year nothing was working. My right cheek in particular continued to worsen and developed a rough, bumpy flakey patch that also itched and was driving me nuts. I have all 3 levels of the Bioderma micellar water that Beautylish sells and really enjoy them, so I decided to give the AR a try. It just arrived Thursday (today is Saturday) and that's what motivated me to write this review so soon. I have only used this product 4 times - Thur pm, Fri am & pm, and Sat am. The pink patch on my left cheek was completely gone by this morning. My right cheek, while still having some remaining pink, is smooth and flake free...and nothing is itchy! Happy Dance! I have no idea why this is working so well for my skin, but I'm not questioning it. My daughter has the same oily, sensitive, reactive skin so I'm going to send her a tube to try and order myself a backup. It absorbs well, isn't greasy or tacky, and doesn't leave any noticeable smell. Great product! Of course each product takes some time to start working and for your skin to adjust. But Bioderma Sensibio AR has been very efficient, smoothing and moisturising my face within a matter of days. I highly recommend this! I started out using Sensibio Light but it wasn't enough for a couple of dry patches I've been battling. So I decided to try Sensibio AR and so far it's great! Lovely under makeup and has done very well on my dry spots. Love you Beautylish!